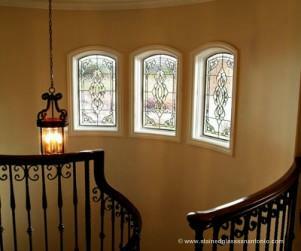 Stained Glass San Antonio is proud to be the trusted stained glass studio in the San Antonio area. We specialize in customized stained glass as well as stained glass repair, restoration, and installation. Our team of local stained glass artisans excels in traditional, colorful stained glass to timeless, leaded glass and everything in between. 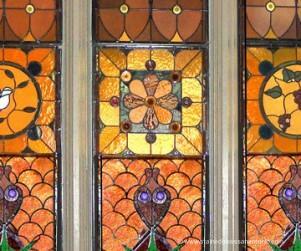 We welcome both residential and commercial projects alongside religious stained glass restoration and creation. 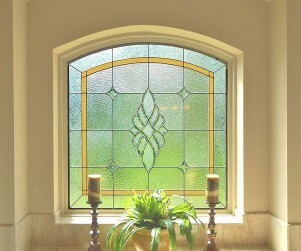 All of our stained glass windows are custom made and individualized for each client. Our stained glass artisans can’t wait to sit down with you to bring your design ideas to fruition. From elegant privacy solutions for your home to colorful, custom signage for your business, Stained Glass San Antonio has you covered. 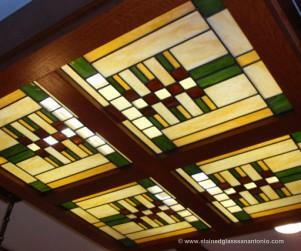 Learn more about custom stained glass for your San Antonio home or business. Stained Glass San Antonio’s renowned restoration process can add another century to your religious stained glass’ lifespan. Generations to come will continue to be inspired and cherish these antique treasures that can be so pertinent to the worship process. Your congregation will be stunned by the luminous clarity after proper restoration. 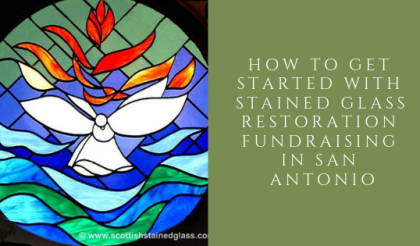 Learn more about religious stained glass restoration for your San Antonio church or house of worship. 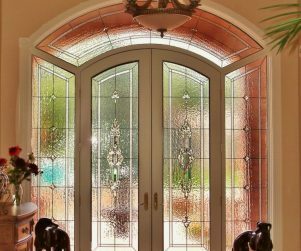 Stained glass features can improve curb appeal alongside increasing home equity. Bring natural light and privacy to any room of your home. 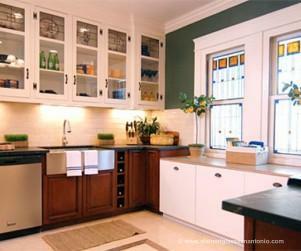 From classic, leaded transoms to unique kitchen cabinet stained glass features, our stained glass artisans can assist you with any residential stained glass project you have in mind. With stained glass, there’s no need to sacrifice that beautiful Texas sunshine for privacy. 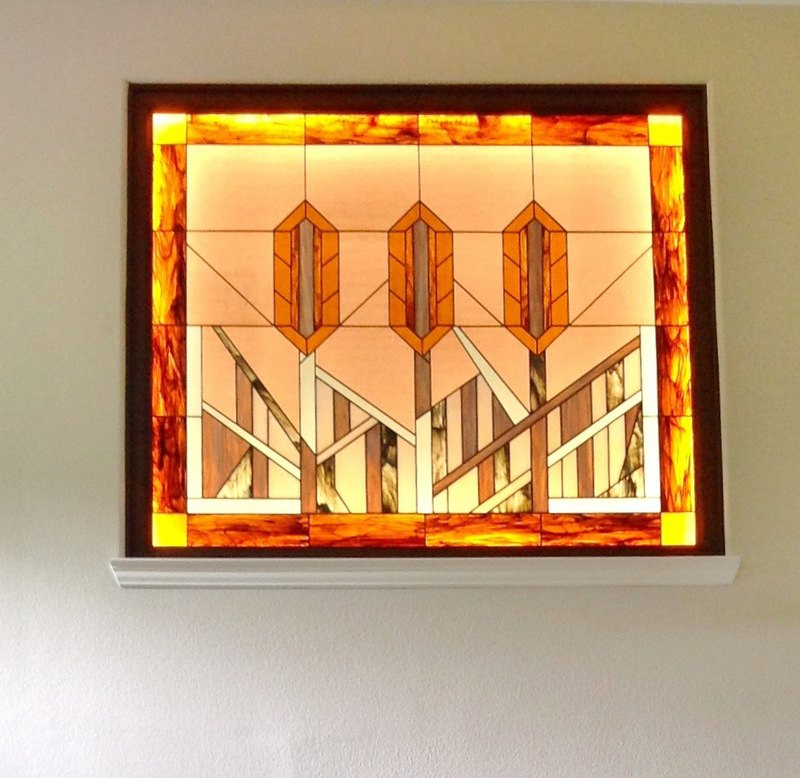 Learn more about residential stained glass for your San Antonio residence. Stained glass is an ancient and lovely artform that we, at Stained Glass San Antonio not only have over 25 years experience in but also happen to love. We take great pride in creating each custom stained glass masterpieces for homes, churches, and businesses right here in San Antonio and across the country. 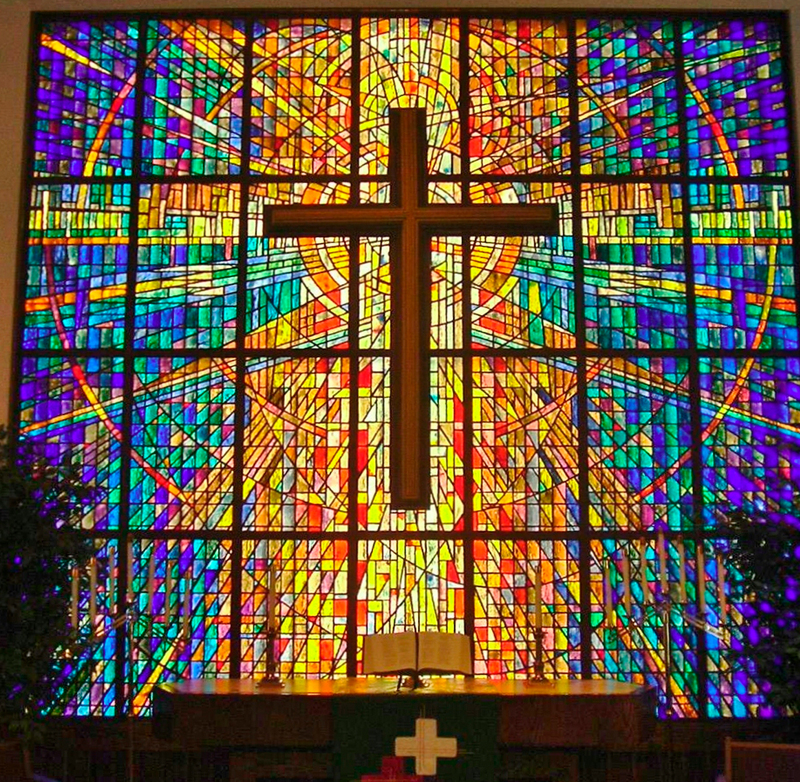 We do everything from stained glass creation, consulting, repair, restoration, and replacement for churches, chapels, mosques, and synagogues. Contact us for more information on living your most beautiful life with stained glass! Stained glass windows are well-known to be beautiful but they can also be quite functional as well. They provide privacy, add character to any home’s interior or exterior and increase the resale value of a home too. However, the great part about stained glass in your San Antonio home is it looks great anywhere! 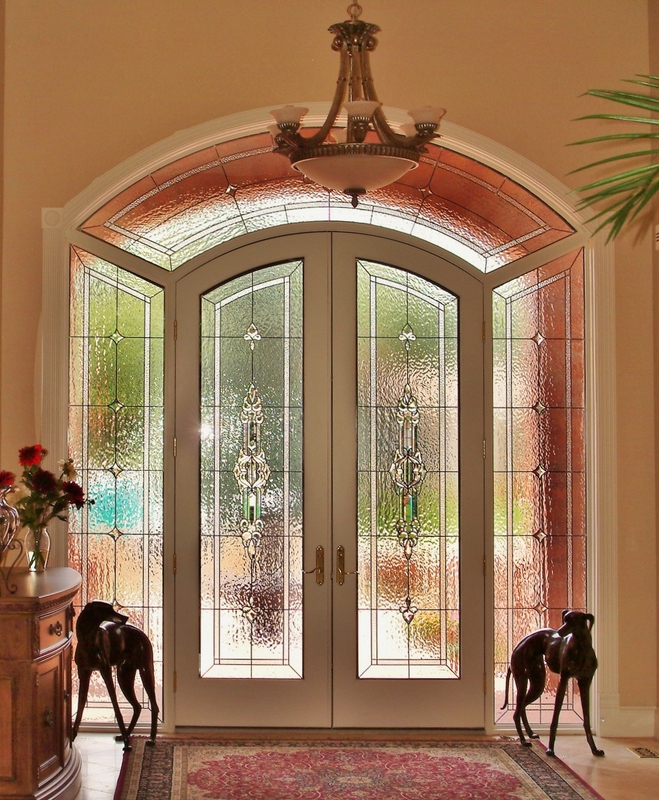 Learn more about custom stained glass for your San Antonio home. Stained Glass San Antonio is one of the most renowned church stained glass artist and restoration specialist in the whole country because we care deeply about the craft. After years in the businesses, restoring national treasures like antique stained glass church windows, we understand the role stained glass has and will continue to play in chapels across the country. Thusly, we take great care creating new glass and restoring old glass that will last 80-100 years when properly maintained. Also, our experience extends beyond simply creating beautiful church stained glass window designs. We also have vast experience working with church committees for consensus and ideas on fundraising to support church’s restoration projects. Stained glass is a very functional art form that it is perfect for commercial spaces in San Antonio. Our stained glass is sure to beautify your business, while at the same time lending you a competitive edge. Also, stained glass windows provide a high ROI for businesses looking to add value to their commercial space. At Stained Glass San Antonio, we are always happy to consult with any business looking to add stained glass. 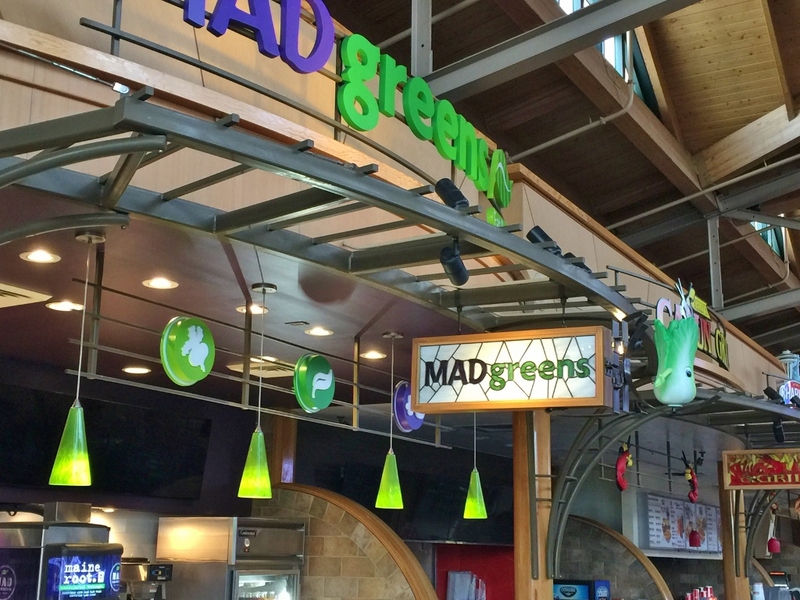 We not only have decades of experience, we have installed stained glass in numerous commercial areas as well. As the entire world watched in sadness, the Notre Dame Cathedral burned this week and many common thoughts raced through our minds: the safety of anyone inside, the host of historical relics, artworks, and unparalleled architectural structures that we thought for sure were engulfed in flames or very close to it. For us here at Stained Glass San Antonio, our minds immediately went to the Rose Window and as we looked at the images of the burning spire quickly sinking into that fiery blur, our hearts too sunk, assuming it was lost to time and fire. You see, we are more than just stained glass restoration experts here at Stained Glass San Antonio but also avid stained glass appreciates. And, truly, there is almost no other stained glass window in the world that encompasses the affection we have for stained glass as a beloved artform than–the Rose Window Of Notre Dame. This amazing window was constructed in the 13th century during the Gothic period but is easily still relevant to today’s distant world. 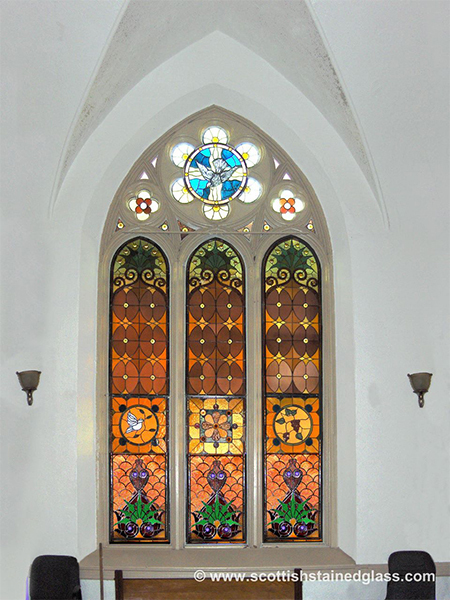 Whether because of the perfect blend of bold colors (which never go out of style) or the prism-like pattern in which each demure panel is positioned, this window could as just as easily pass for modern as it does for Gothic–a dichotomy that is part of its attraction. However, the Rose Window of Notre Dame was built for threats just like we witnessed this week– by distributing weight equally across a perforated stone wall of traversing apertures–this window is as tough as it is striking. The unique and stalwart structural style also happens to lend itself to making the Rose Window appear much more delicate and fragile than it actually is. As we have written about many times before in our blog–stained glass is, contrary to popular belief, very durable, something we remember each restoration we do and still have yet to fully appreciate ourselves. 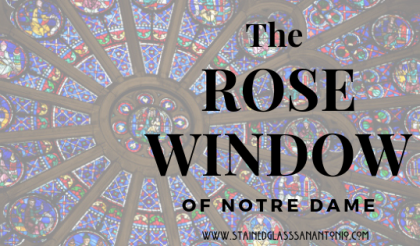 The Rose Window of Notre Dame–is no exception. Knowing the Rose window was built tough and beautiful, is why we have such high hopes still for the Rose Window. While not completely out of the woods yet because of the failing structures surrounding it, our hope that this window will prevail–as it has over the last 700 years: through wars, invasions, plagues, riots, occupations–never failing, always the same. If history offers any hints of the fate of this iconic stained glass window, we know for sure it will endure. True it will be in need of a massive restoration but one full of hope that this piece of religious art will stay intact for scores of generations who have yet to enjoy looking up at a piece of stained glass that represents the human spirit in us all– something that has seen the world change but somehow remains the same. 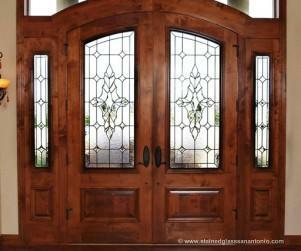 For inquiries on a of your own, contact us at Stained Glass San Antonio today. We serve all of Texas and numerous other regions across the US and would love to work your church or home stained glass restoration project. As the leading stained glass studio in San Antonio, we’re often asked who our stained glass inspirations are. 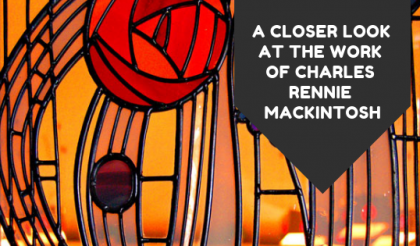 While we do draw inspiration from numerous stained glass artisans, interior designers, architects, and artists from around the world and throughout history, one of our favorites is Charles Rennie Mackintosh. Charles Rennie Mackintosh is a Scottish architect, designer, and artist who is popularly known throughout Scotland and the world for his impressive architectural feats. If your church caught signs of deterioration before your stained glass windows fell apart, you’re extremely fortunate. Many churches aren’t aware of the warning signs of deterioration. By the time that they do notice that their stained glass is in poor condition, and large sections have fallen out, it is often too late to do anything about it. Some magnificent works have been lost for this very reason. Now that your church is aware of the need for stained glass restoration from a San Antonio expert, the next step is to figure out a way to finance your project. One of the most common ways that churches finance stained glass repair projects is with fundraising. By obtaining donations from members of the church, or the surrounding community, you may be able to gather all of the necessary funds to pay for the entire project without having to spend a dime. In many of San Antionio's suburbs there are sidelights, bathroom, and hallway windows that let natural light to flow into your home. However with this natural light comes the ability for people to stare through your windows. Someone at your front door can see if you are home and your bathroom windows often face your neighbors. 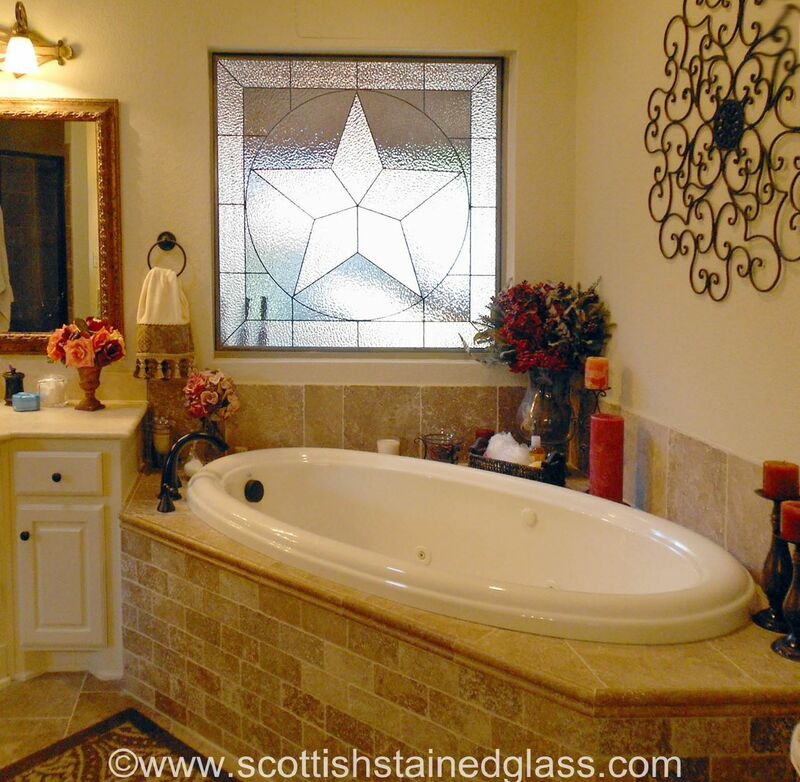 Scottish Stained Glass offers your an ideal solution, allowing your to add custom designed stained glass to your San Antonio home. Our solutions offer privacy and elegance, withouth blocking the natural light. The premier residential stained glass provider in the country, Scottish Stained Glass now operates locally in San Antonio. We come to your home or office, get a feel for your design taste and your project needs, and then design a beautiful piece of custom art work that works perfectly in your space. 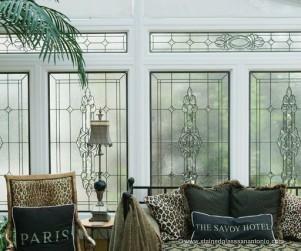 We can also repair and restore older windows, bringing them back to their previous brilliance. 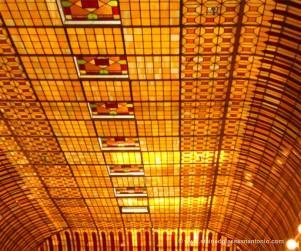 Our specialities include restoring the art nouveau, prarie, frank llyod wright, and victorian stained glass that is often placed prominantly in older home. Whether you are looking for new or restored stained glass, you've found the right company. 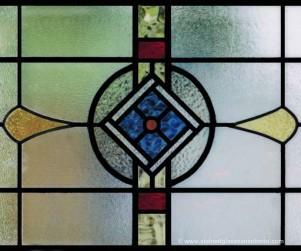 We live and breath stained glass and would love the opportunity to help with your project. Please contact us today!